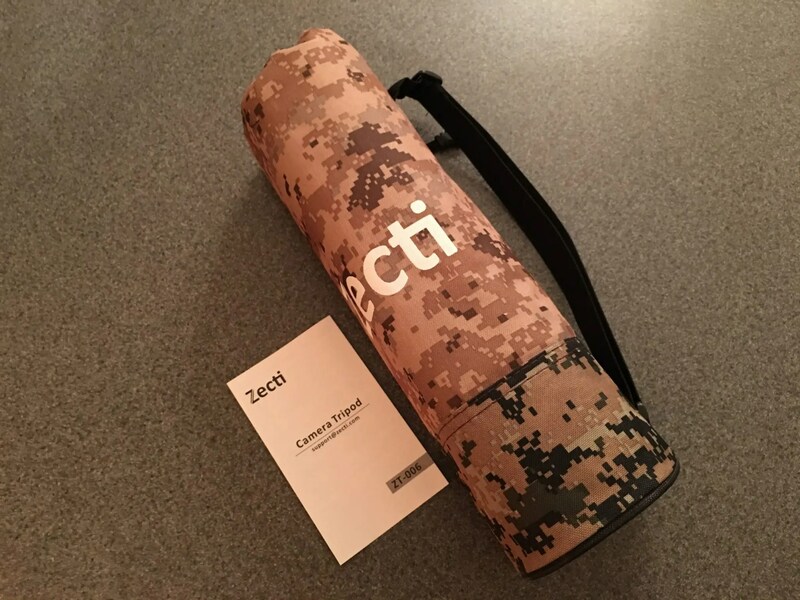 The Zecti Tripod can be adjusted from 13″ to 55″ and weighs in at only 2.8lbs, thanks to its sturdy yet light aluminum and plastic construction. Included is a carry case, ball head with case, quick release mount, waist pouch, hex wrench, and user manual. The tripod can be used like standard tripod and is extremely versatile. The legs have four sections for adjust-ability and multiple angle settings. The tripod can be further extended by extending the two part center axis. The two part center axis can be removed and inverted for lower camera mounting or connected to one of the removable tripod legs to transform it into a monopod. The included ball head, while basic, provides unlimited angles when it comes to the standard quick release mount. The head also has a ball level to aid in getting your camera perfectly level. 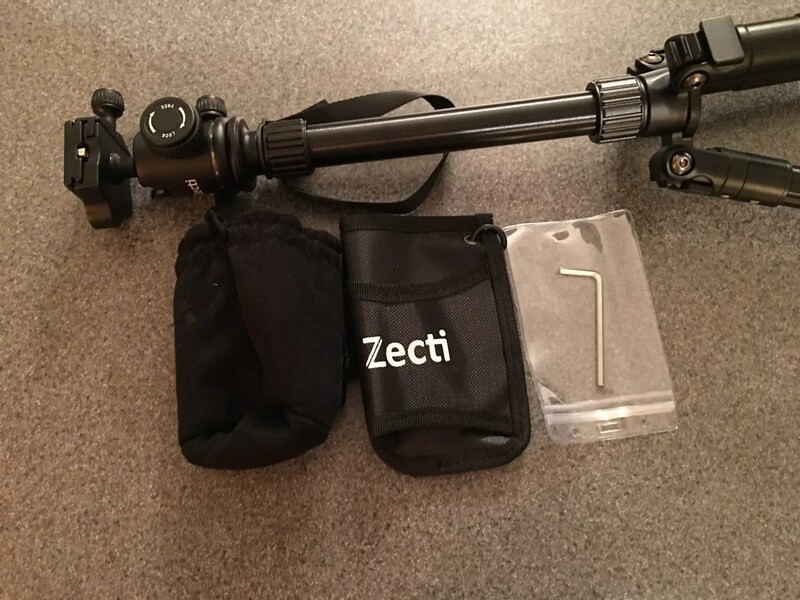 Overall the Zecti Tripod is well made and packs a ton of features usually found in more expensive tripods. The ability to convert it to a monopod makes it that much more appealing. If you are interested in purchasing this tripod it can be found here.